Designed to break down milk protein and fat build-up on steam wands and auto-frothers. An essential component of daily machine maintenance contains food-safe blue for a visual cue. Traditional liquid formula is easy to use and each bottle comes with a convenient dosing cap. 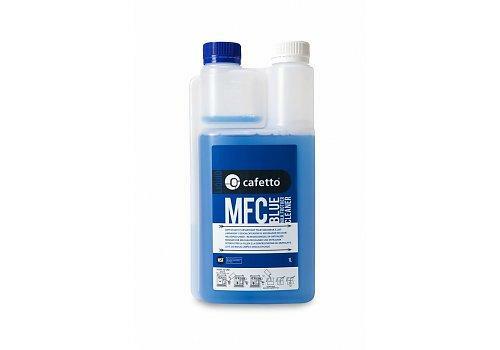 Mix solution of 30 ml Cafetto Milk Frother Cleaner per 500 ml water. Soak parts or steam wand for 15-30 minutes in 30 ml Cafetto Milk Frother Cleaner per 500 ml warm water.